PC2-5300F / 2RX8 / Fully Buffered ECC RAM / 667MHz. 1 Year Warranty. Model: PN424, 0PN424. Speed: PC2-5300(667MHz). 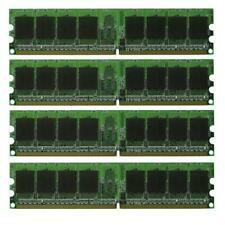 Type: 240-Pin DDR2 Dimm. Simply install into your computer motherboard's 240-pin DIMM slot and enjoy high performance computing! Buffering: Un-Buffered DIMM. Mfr: Samsung, HP, Dell. Wide range of Products. Strategic Location. Pulled from a working PC. Memory removed from retired, known working server. Our team will be here to support you all the way from purchasing to the arrival of your item. An item that has been used previously. For parts or not working. Manufacturer refurbished. The item may be a factory second or a new, unused item with defects. 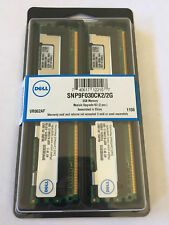 Compatible with Dell Optiplex GX280, GX520, GX620. Manufacturer Third Party. Compatible with Dell Optiplex GX280, GX520, GX620. Capacity per Module 1GB. Manufacturer Third Party. It'sYOUR RESPONSIBILITY to make sure that you are ordering the correct item. Compatibility : It'syour responsibility to make sure that the item is compatible with your computer/laptop. It'sYOUR RESPONSIBILITY to make sure that you are ordering the correct item. They have been tested and are in working condition. This success has been built on a number of core principles :-. OFFTEK Part Number :- FT1GDL6000B. Capacity :- 1GB Module. A huge database of information allows us to provide upgrades for almost any computer. Capacity :- 1GB Module. This success has been built on a number of core principles :-. A huge database of information allows us to provide upgrades for almost any computer. This focus has allowed us to build a knowledge base that is second to none. 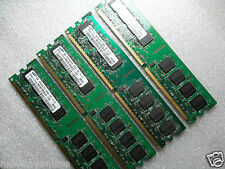 KWK007ELC Dell 1GB PC2-5300 DDR2-667MHz non-ECC Unbuffered CL5 240-Pin DIMM Memory Module. 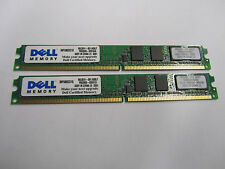 Dell's DDR2 RAM at 667Mhz. MOST parts are nice, just not boxed. IF we made a mistake, we will do all we can to make it right. This success has been built on a number of core principles :-. OFFTEK Part Number :- FT128MSQ64V6J. Capacity :- 1GB Module. A huge database of information allows us to provide upgrades for almost any computer. Capacity 4GB (4x1GB) (You Receive 4 of the 1GB). Dell Precision Workstation 390. Desktop Computers. Slow Computer?. We have done the research for you. Picture is for Display. This success has been built on a number of core principles :-. OFFTEK Part Number :- FT128MLQ64V6J. Capacity :- 1GB Module. A huge database of information allows us to provide upgrades for almost any computer. This success has been built on a number of core principles :-. OFFTEK Part Number :- FT1GDL380. Capacity :- 1GB Module. A huge database of information allows us to provide upgrades for almost any computer.